I'm not going to beat about the bush on this one with a lengthy blog intro. I'll get right to the point here. 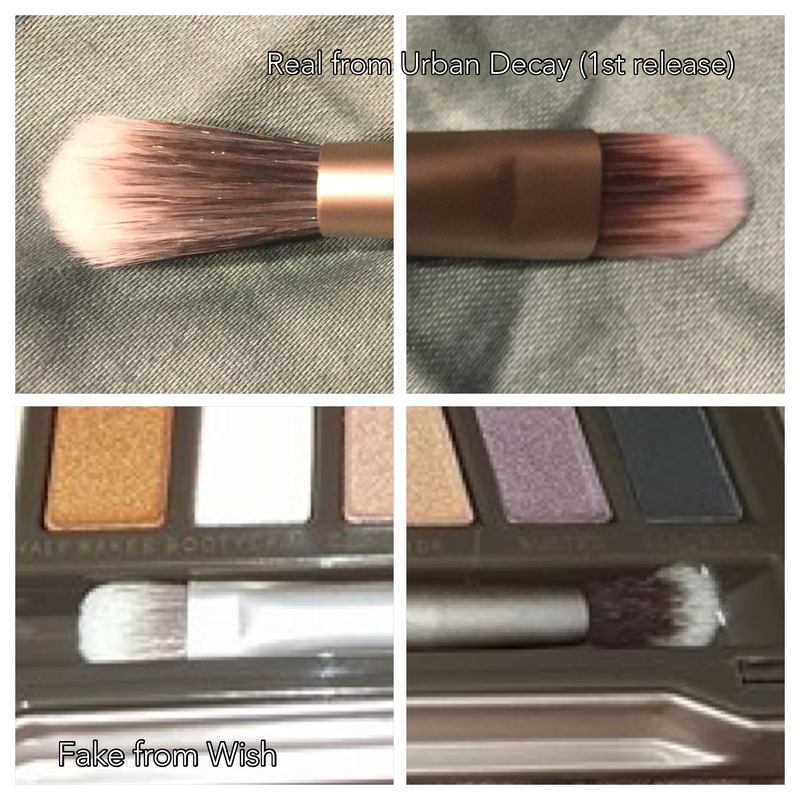 Wish, an online app that brings people "huge savings" is a source of counterfeit cosmetics. 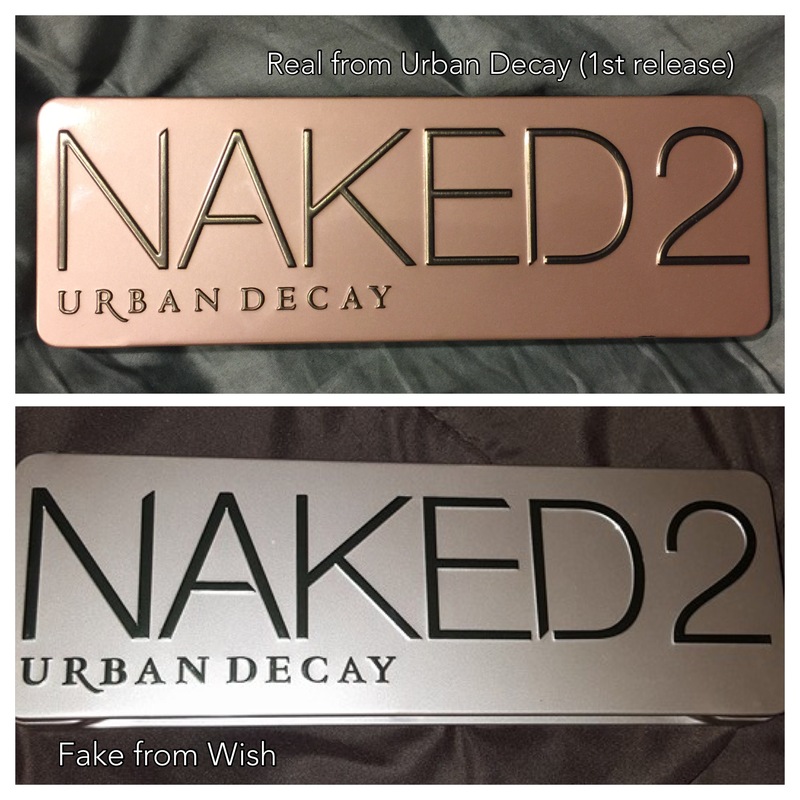 Recently someone in a Facebook group I belong to posted images of the Urban Decay NAKED 2 palette she bought on Wish for $8 and became highly defensive when she was told it was counterfeit. Her claim she bought one before and the one she got this time looks just like the one she bought therefore it wasn't counterfeit. Stubborn. Sorry but it was a fake and frankly I have little patience for people trying to scam people. 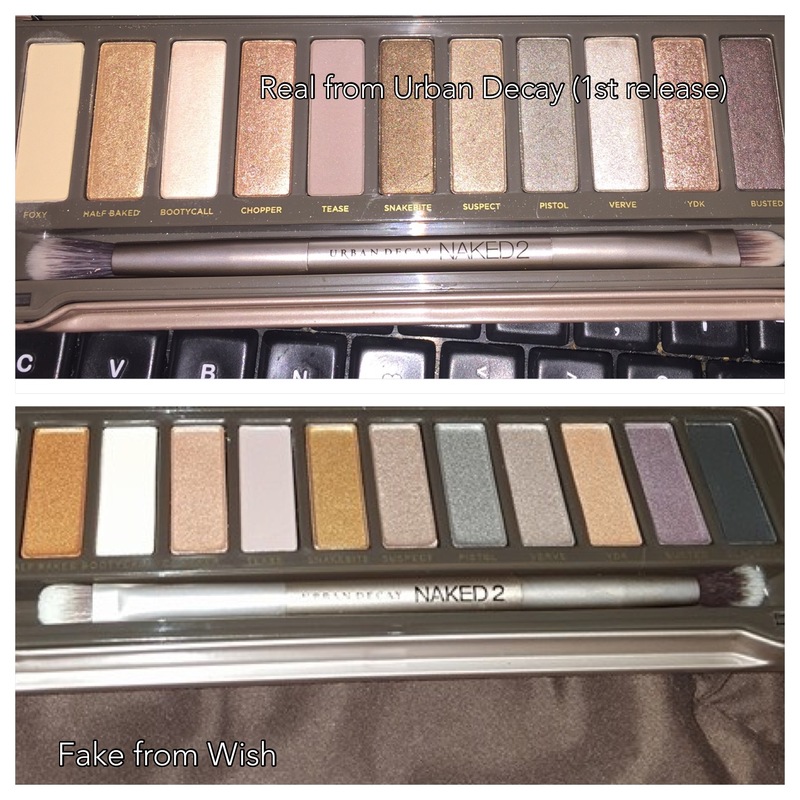 I saved her images to compare to my own Urban Decay NAKED 2. Photos are below the page cut. Do you see the color difference? Both photos - hers and mine - were taken under low light with the camera flash on. She was using her cellhpone camera and I used my iPhone 6 Plus. My palette has a warmer tone to it while hers looks greener. Look a the brushes. Again, mine matches the case and is a warm color while hers has a green tinge and the brush heads don't match the handle. Now look at the colors between my palette and hers. Pistol in hers looks awfully green. A closer look at the brush handles shows that the printing on the fake brush is radically different than on the real brush. You can see the names of the shadows in the legitimate palette and hardly see it in the fake. What you can see is that the names are very off center in the fake palette. Now look at the brush heads. 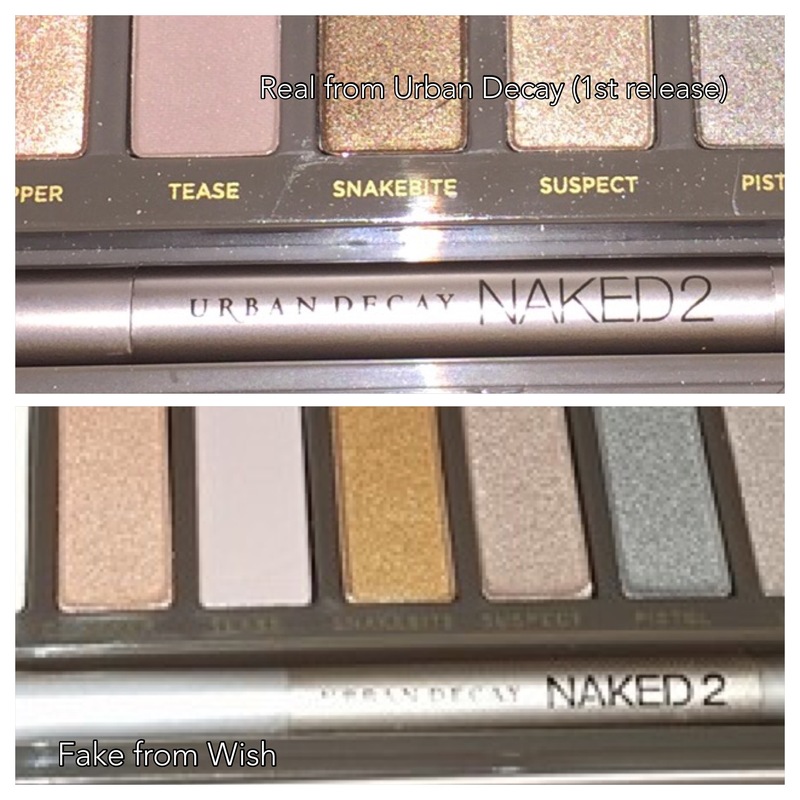 First of all, the real brush the blender side is on the left of the words Urban Decay NAKED 2 and the flat end is on the right. The fake brush it's reversed with the blender on the right and the flat on the left. Also look at the shape of the flat - mine is round, hers is flat. I bought mine directly from Urban Decay when it came out and she bought hers on Wish for $8. So buyer beware. If it seems too good to be true it's because it is. Save your money, if you want shadows that a similar colors to NAKED 2 (or any of the NAKED palettes) without breaking the bank then go with a drugstore line.